1 Comments Published by Jane on Thursday, February 12, 2009 at 6:05 PM. I love your website, so much work has gone in to it, it is a pleasure to see. My paternal grandmother was Norah/Noreen Deedy from Dingle in County Kerry Ireland. She was one of four daughters of ? Deedy, a fisherman from Dingle. 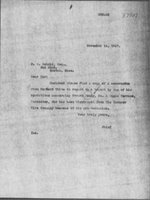 My grandmother emigrated to Boston and worked there in service to a wealthy Jewish family for something like 12 years, she married Gerald/Gerry Sheehan in Boston and returned to Ireland in the early/mid 1930s, she never returned to Boston. She lived the rest of her life in Coombaha, Co Kerry, Ireland. If you have any knowledge of my Grandmother or her relatives I would love to find out more about her. 0 Comments Published by Jane on Saturday, April 05, 2008 at 6:00 PM. 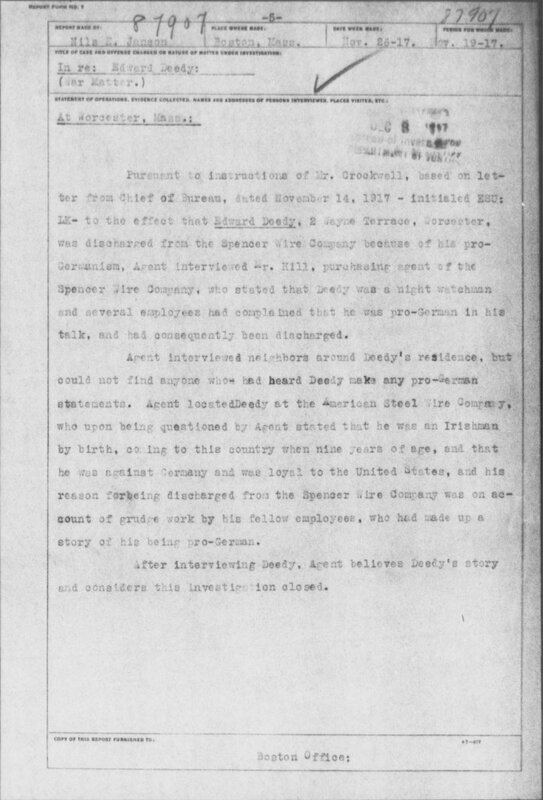 While combing various databases for information about my relatives, I recently stumbled across the following three documents about an Edward Deedy of Worcester who was erroneously placed on a bureau of investigation (precursor to the FBI) watch list in 1917. 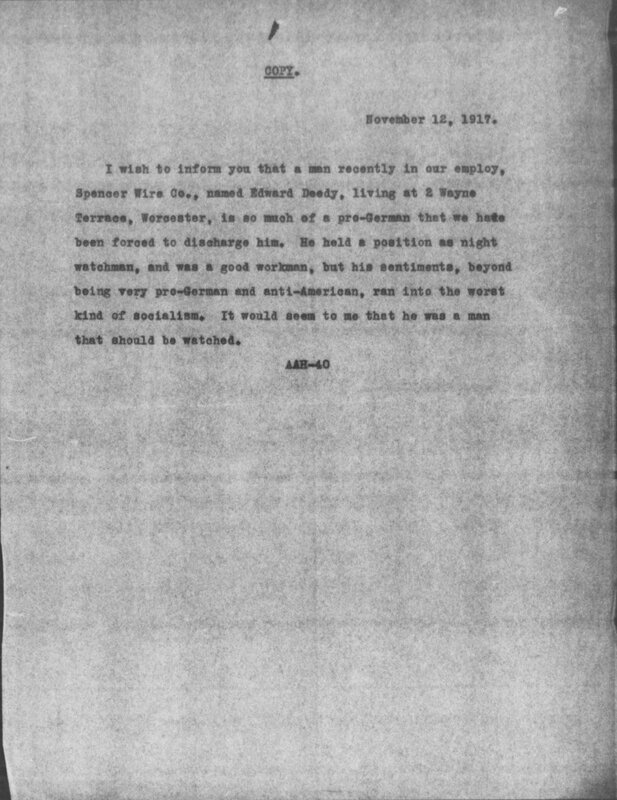 The first two documents contain a letter notifying the bureau of investigation that an Edward Deedy was recently fired from his job as night watchman due to his political views. The second letter is a memo from the chief of the Boston bureau of investigation who basically dispatches an agent to go look into the matter. You can click on any of these images to view larger. 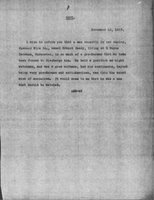 The last document is the most fascinating. It is the agents report of his investigation and the result. 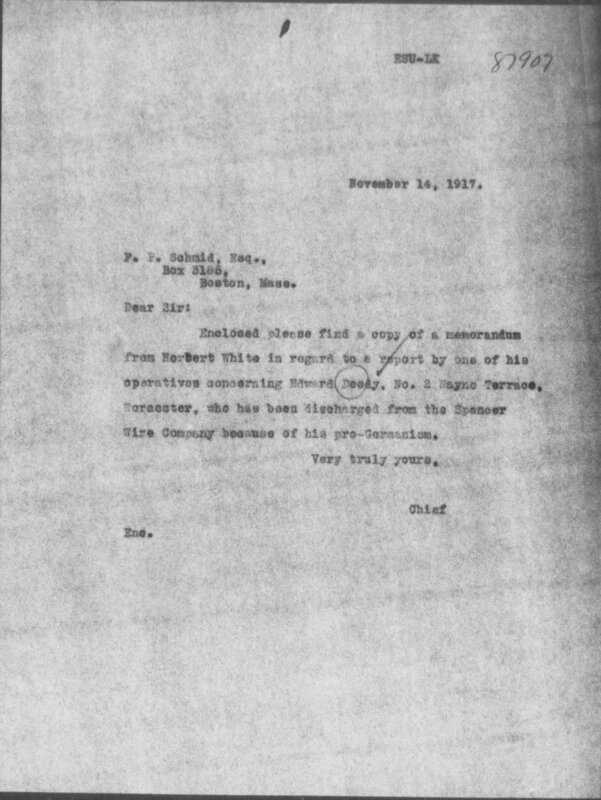 At first I thought these documents were about my Great-Grandfather Edward B. Deedy of Worcester. However, I have been able to rule him out. 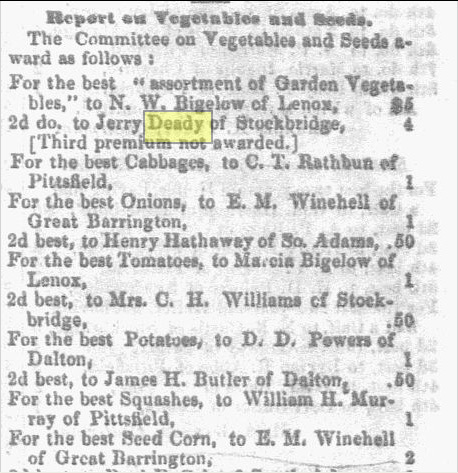 I found another Edward (also goes by the name Edmund) Deedy living in Worcester at the same time as my Great-Grandfather and living in the address listed in the documents. So this is an example of an Unknown-Deedy and an interesting little peek into the life of an innocent man caught up in a government investigation. 0 Comments Published by Jane on Friday, January 12, 2007 at 9:58 PM. Hopefully you can read the above. It says Capt. Deedy arrived in New York from Lisbon. 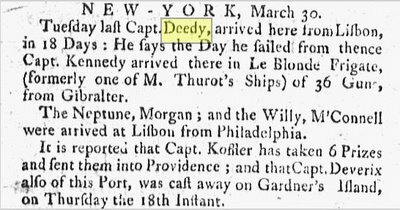 I guess this was big enough news to make the local paper "Boston Post Boy" on April 6, 1761. You read that right - there was a Capt. 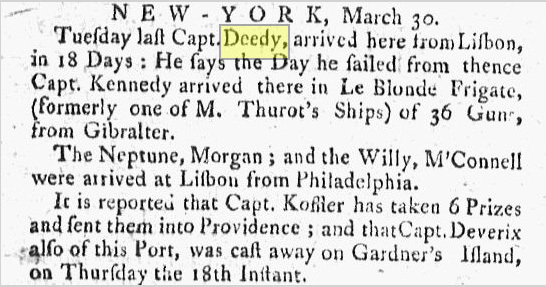 Deedy in 1761! Who he was or if he is related I have no idea.